Picking up where the open-ended premiere left off, “Korra Alone” revealed what the Avatar has been up to for the past few years. Michael Dante DiMartino’s script takes a cyclical path, filling in the gaps without bogging the viewer down in too much exposition. We learn enough to understand how Korra ended up in that underground earthbending ring (turns out she didn’t spend all three years there), but plenty of threads remain loose. The first two episodes of Book 4 have kept the flow of information well-paced. And from the looks of it, Konietzko and DiMartino will have fans hanging on the show’s every minute until the final credits roll. Korra’s odyssey begins three years in the past, shortly after the events of the Book 3 finale. She returns to the Southern Water Tribe after offering heartfelt goodbyes to the rest of Team Avatar. In the cavernous rooms of her parents’ home (I’d forgotten that Korra’s family is essentially royalty), she struggles to cope with her condition. I had speculated that the season would begin to explore Korra’s depression exclusively, but this episode subverted my expectations. Instead, we see a more holistic look at her psychological state. Poignant moments keep us mindful of not only the depth of her sadness, but also her inner conflict. Everyone is looking out for her and she can’t reconcile that with her individualistic personality. 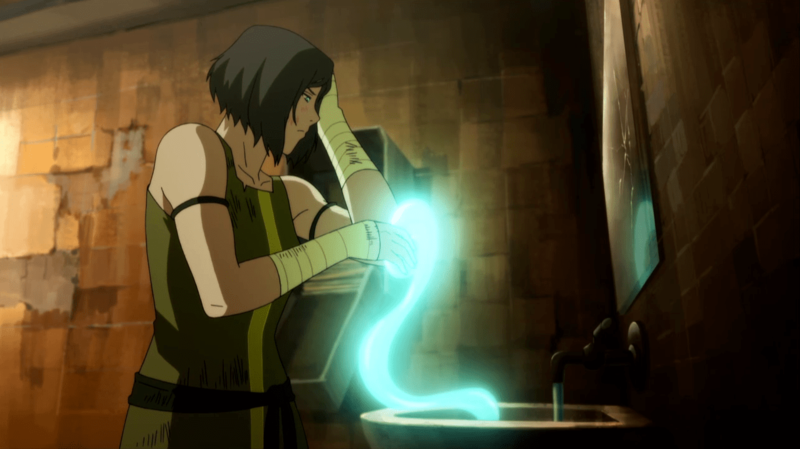 In the most disturbing scene of this episode, Korra confronts a mysterious phantom version of herself in the swamp. 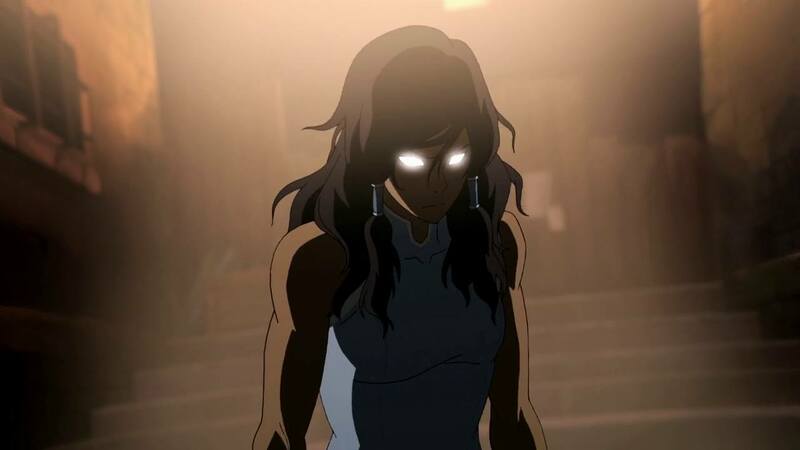 The figure stares down at Korra, eyes glowing and wrists still wrapped in the chain from the Red Lotus venom chamber. When Korra tries to climb up a tree to get away, the Phantom Avatar swings its chain and catches her. A pool of Red Lotus venom spreads out beneath the phantom as it pulls her down. The phantom slowly sinks beneath the surface and takes Korra along with it. The image is horrifying. The Book 4 trailer gave fans a glimpse at Phantom Korra, but this episode leaves it unexplained. Is it a physical manifestation of her Avatar State? We will have to wait to find out. The introduction of the phantom Avatar is unabashedly bizarre, but it works beautifully to emphasize Korra’s tortured psyche. After providing a conventional, figurative glimpse into her emotional headspace, the episode presents a literal representation. Korra has been cut off from an essential part of herself. Beyond her despondency, she is frustrated. The phantom is an apt reflection of that. If the beginning of this season is any indication, The Legend of Korra is building up plenty of parallels with Avatar: The Last Airbender. Both penultimate seasons left the Avatar battered and separated from their spiritual abilities. Both shows also begin their final seasons with the hero/heroine on the long road to recovery. Aang had to unlock his chakras after “The Crossroads of Destiny,” while Korra is dealing with an arguably more severe debilitation following “Venom of the Red Lotus.” She is unable to enter the Avatar State and even the spirits can’t detect Raava’s presence around her. “Korra Alone” points to the possible narrative arc of Book 4. If the showrunners are drawing on the narrative route of The Last Airbender‘s final season, then I see Balance hewing closely to a plot that leads to Korra restoring the Avatar State. Even the episode title makes a subtle reference to the issue. Korra isn’t just alone in her travels; she’s alone spiritually. As she seeks to understand her place in the world, she may ultimately regain that sense of completeness. This episode proves she won’t always be on her own along the way. After the phantom captures her in the forest, Korra awakens in an underground dwelling. A familiar voice greets her, and although it’s changed with age, diehard fans can’t help but recognize the inflection. Sure enough, none other than Toph Beifong steps into the light. Speculation over her reappearance has been burning since offhand mentions of her in Book 3. 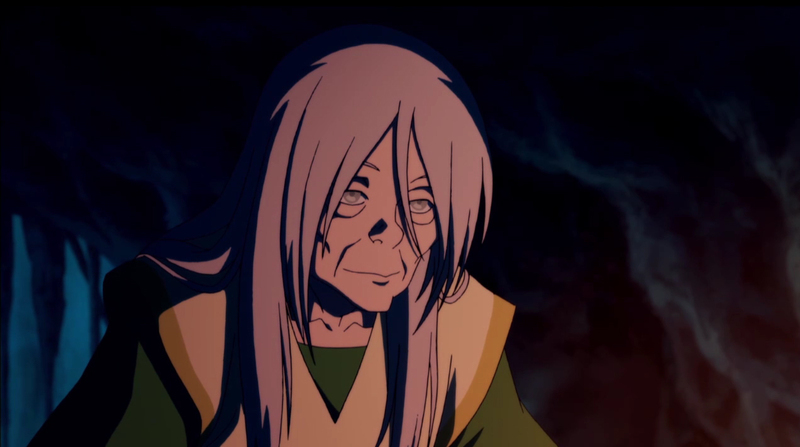 It’s great to have her back, and I look forward to see their dynamic unfold as she works to help Korra rebuild herself.